Australian Made in Tumut, NSW. 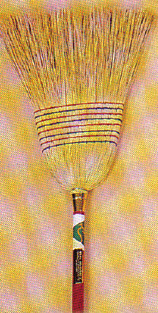 Tumut 8 Tie Millet Broom is available with blue painted high grade hardwood timber handle. Australian Hand made and machine made polypropylene millet brroms, bassine fan broom and whisk brooms.